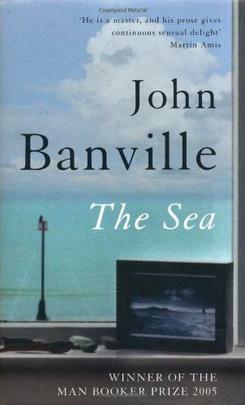 You are currently browsing the tag archive for the ‘John Banville’ tag. My parents had not met Mr and Mrs Grace, nor would they. People in a proper house did not mix with people from the chalets, and we would not expect to mix with them. We did not drink gin, or have people down for the weekend, or leave touring maps of France insouciantly on show in the back windows of our motor cars – few in the Field even had a motor car. The social structure of our summer world was as fixed and hard of climbing as a ziggurat. I have this sad memory of my dad deciding to take the family on a spontaneous holiday to Connemara in Co. Mayo. No bookings were made and as far as we could tell there was no real plan either. We were just packed into the car and set off on the road. During the trip he began to tell us stories of his first trip out west, after he had left school I believe, the friendships he had made and the strange characters he had encountered. We even travelled out to the same B&B he had stayed in as a lad. Dad left us in the car to arrange for our rooms. My mother was very quiet, which of course only added to the tension. When dad emerged he looked defeated. The landlady had not even remembered him. There were no rooms available for a family. We wound up staying in a cramped single room in Salt Hill just outside the centre of Galway city for a few days and then retreated to Dublin. Memory can be a treacherous thing you see. The narrator of John Banville‘s novel, Max Morden, wrestles with the memories of his youth, that he tries to return to in order to have some small reprieve from the pain of the present. They often cheat him though, his recollection of events stopping and starting as he is forced to correct himself. So much of what he remembers is lost to the intense fog of emotion that he endured as a teenager, his infatuation with the Grace family still felt intensely after all these years. The narration itself is not neatly stacked between the present and the past. Often his memories will be spurred on by an unexpected association with his present-day musings, and vice versa. Max himself is yet another one of Banville’s dissolute academics, men of letters, outsiders (Kepler; Mefisto) – whose minds are occupied and overcome by abstract thoughts that have shoved out any chance of seizing happiness in the moment. I was trying to write my will on a machine that was lacking the word I. The letter I, that is, small and large. The Graces themselves are an unusual family, even allowing for their social superiority to Max and his former friends from The Field (whom he quickly abandons for the company of the Grace children). The son and daughter, Myles and Chloe, shared everything, a result of the boy being a mute. His sister shares with him the experiences of someone who can communicate with this outside world. They are like twins, separate from everyone. Carlo Grace, the father, is a loud and gregarious sort, with a conspiratorial sense of humour that strikes Max the child instantly as ‘masonic’, even ‘satanic’. Mrs Grace, or Connie Grace as Max comes to think of her in the throes of his passion, becomes his fixation, with the disapproving gaze of au pair Rose acting as a barrier against the boy’s desires. Max’s pursuit of higher learning as an adult can be seen as an attempt to raise himself to the social station of the Graces (there but for the Grace of God…), but it is also an escape from the tragedy that befalls them. 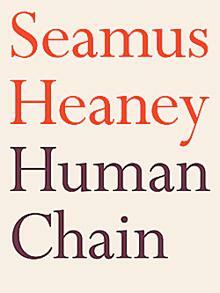 Brutally honest, a fine addition to the canon of this most European of Irish writers. The story that follows can fairly be said to have two protagonists. One of them is Minor, the murdering soldier from America; and there is one other. To say that a story has two protagonists, or three, or ten, is a perfectly acceptable, unremarkable modern form of speech. It happens, however, that a furious lexicographical controversy once raged over the use of the word – a dispute that helps to illustrate the singular and peculiar way that the Oxford English Dictionary has been constructed and how, when it flexes its muscles, it as a witheringly intimidating authority. This is the kind of book the Peter Ackroyds and John Banvilles of this world would give their eye-teeth to write. 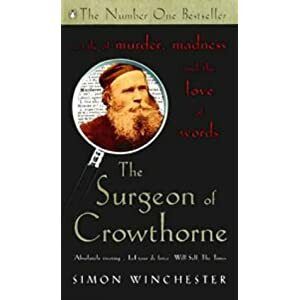 An incisive and witty account of the creation of the Oxford English Dictionary – with a surprising history of murder and madness interwoven into the tale. This is, despite the quote above, the story of three men. The aforementioned Dr. W. C. Minor, an American medical doctor who suffered from what we would now recognize as post-traumatic stress and paranoid schizophrenia. Dr James Murray, a gifted polymath with humble beginnings that failed to prevent him from achieving honours and great success as a result of his work as editor on the Oxford Dictionary. Finally this is also the story of George Merrett, the victim of a gunshot to the neck. His murderer was committed to Broadmoor asylum and is recognized by history as one of the most important contributors to the Oxford English Dictionary. Unlike Minor, Merrett is largely unremembered and unmourned. This is a book that could not have been written without the sacrifice of his life. For as a veteran of the American Civil War, Minor was haunted by delusions of pursuit at the hands of Irish deserters from the Union army. He was terrified by the thought of being hunted down by a man he was ordered to brand with a hot iron, as punishment for fleeing the field of battle. The Irish soldiers conscripted to fight the Confederate army initially were willing to fight, with a view to someday returning home to put their newfound skills to use in liberating their own country. Disillusionment soon followed though and Winchester huge numbers of desertions from the Union cause. Minor was also troubled by increasingly disturbed sexual fantasies. No form of treatment for his maladies existed. He was judged completely insane and though not found responsible for the death of George Merrett, locked away for what was judged to be the rest of his natural life in Broadmoor. Murray’s early life was also touched by tragedy. 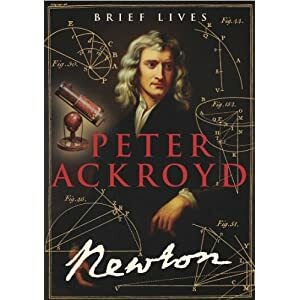 The loss of his first wife and child before the age of thirty and been forced to eke out a living as a bank clerk despite his prodigious intellectual gifts. Winchester includes an extract from a job application Murray wrote where he claims fluency in over a dozen languages. His fortunes, however, improved with a happy second marriage and the fortunate society he kept with many other learned men, who recommended him for his eventual career as editor of the Dictionary. Despite the efforts of Samuel Johnson, the English were lagging behind the efforts of the French Encyclopédistes and Italian lexicographers. There was no enshrined account of the English language itself, its cultural forms mutable and unaccounted for. What Murray attempted was to collect proven definitions and associations for singular words, drawn from the literature of the time. Volunteers were asked to submit completed lists of words with their origins and usage clearly defined. This proved unwieldy and met with little enthusiasm once the size of the task was glimpsed. It was with Minor that Murray met great success. The two began to correspond over a number of years, with the American giving little hint as to his circumstances, at first merely submitting his exhaustive work without comment. Winchester argues that this research and study offered Minor relief from his painful delusions. He continued to be troubled, especially at night, by the thought of pursuit by invisible Irishmen, succubae and most disturbingly, children. Yet his work on the dictionary seemed to reflect a particularly erudite and reflective mind. I have always been struck by the phrase a ‘monk’s cell’, as if contemplation was a crime. Minor’s life following the death of Merrett symbolises that contradiction. I love Winchester’s style of writing, with one phrase in particular just leaping off the page – seamless syrup of insanity. A beautiful, commanding book.